There are a lot of Indian, and Mexican, people in Phoenix, Arizona. I've known quite a few, and if you've studied California and Arizona history, you know how important these groups of people have been, and still are. I'm an average white guy, who has lived in Arizona and California since my teens, and I know that, for whatever reason, the terms "Indian" and "Mexican" are not supposed to be used. As if, somehow being Indian and Mexican isn't something to proud of? But I beg to differ. The words "Indian" and "Mexican" may be unwise to say loudly in public, but they're not bad words. Those words represent groups of people who are very important to California, and Arizona. 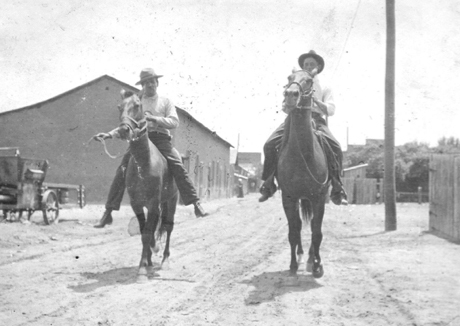 Image above: riding down Gold Alley in 1914, Phoenix, Arizona. From Mexicans in Phoenix, by Frank Barrios.